Looking for Insight Media? You’ve come to the right place! We have recently incorporated Insight Media’s website into the Alexander Street Store. Alexander Street is proud to represent the Filmakers Library, Microtraining Associates, and Insight Media brands. Browse or search for high-quality educational video content, in DVD and streaming formats. This 90-minute documentary plunges viewers into the world of three New Orleans school marching bands. 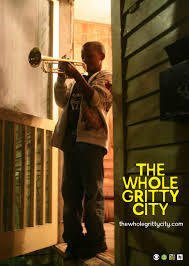 The film follows children growing up in America's most musical city, and one of its most dangerous, as their band directors get them ready to perform in the Mardi Gras parades, and teach them to succeed and to survive. Navigating the urban minefield through moments of setback, loss, discovery, and triumph, these children and their adult leaders reveal the power and resilience of a culture.